Riverbend is located on the banks of the Okatie River, a tidal estuary where man and nature share the rich bounties of the Carolina coastal area. Homesites overlook the river, spring-fed lagoons and protected wetland areas. The center of Riverbend is The Lodge, a community center with expansive windows and verandas to enjoy the stunning views to the river. It is an ideal gathering place for neighborhood get-togethers and can also be used for residents’ private functions or special events. Southern charm and hospitality – this is the perfect place for discovering both. On the river side of The Lodge, there is a large community pool, walking trails, and a community dock reaching out into the marshes. 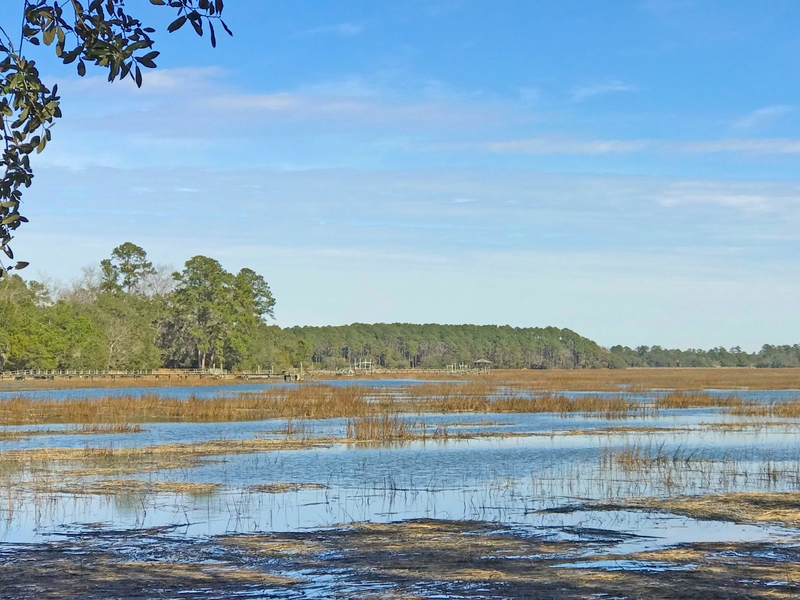 Owners can crab, fish, and kayak from here while enjoying the many species of birds and other Lowcountry wildlife. Having morning coffee or a glass of wine by the river is a good way to enjoy fabulous sunrises and sunsets. Founded by Sun City, Riverbend is a separate, gated area with custom homes on larger lots for upscale living. However, residents here enjoy the benefit of low fees and have full access to the wonderful amenities of Sun City Hilton Head as part of their ownership. Golf, tennis, theater, fitness, bocce ball, dog park, walking trails, clubs, and much, much more are only a golf cart ride away. There is truly something for everyone. While Riverbend is a world apart, it enjoys proximity to Hilton Head Island activities and its world-famous beaches. 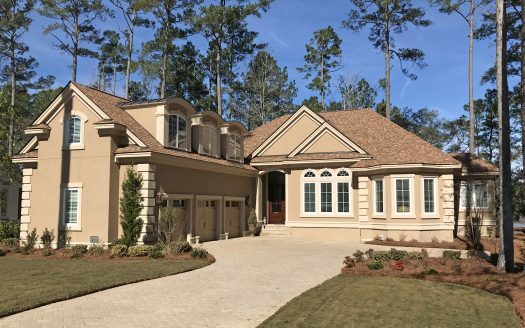 Old Town Bluffton and Beaufort are 20-30 minutes away, both fun communities to enjoy galleries, boutiques, and diverse restaurants. For interesting day trips or overnight ventures, the historic and captivating cities of Savannah and Charleston are nearby.